It is important to check the condition and normal operations of your electric motors. 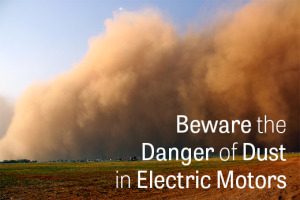 Keep in mind that in any types of industry, there are always hazards that can trigger issues in the performance of electric motors such as dust, moisture, and intense heat. In particular, there are very small particles of dust in the air at all times, and these can get inside your electric motor and lead to damages. Read more……..